Other enclosed spaces that are not intended to be continuously occupied. Just some of the hazards associated with such confined spaces include explosions, asphyxiation, electrocution and exposure to toxic substances. Confined spaces are large enough for an employee to enter and have a means of exiting. The air is tested in confined spaces before workers enter them to ensure that oxygen levels are sufficient (and that there aren’t toxic substances present). Construction workers share their vital safety information with others when they are going to work in enclosed/confined spaces. Hazards associated with confined spaces are continuously monitored and abated to the extent possible. 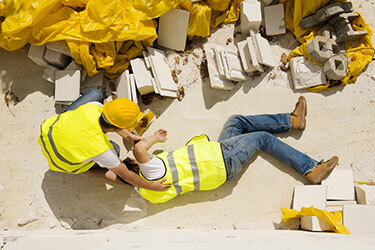 This final rule will go into effect on August 3, 2015, and OSHA officials have predicted that it could protect up to 800 construction workers each year, preventing them from sustaining serious (if not fatal) injuries. In the construction industry, entering confined spaces is often necessary, but fatalities like these don’t have to happen…This new rule will significantly improve the safety of construction workers who enter confined spaces. In fact, we estimate that it will prevent about 780 serious injuries every year. This rule will save lives of construction workers… Unlike most general industry worksites, construction sites are continually evolving, with the number and characteristics of confined spaces changing as work progresses. This rule emphasizes training, continuous worksite evaluation and communication requirements to further protect workers’ safety and health. Have you been injured at work? If so, Denver Workers Compensation Attorney Jennifer Bisset wants you to know that she is here to aggressively advocate your rights and help you obtain the benefits you need and deserve.